Yesterday, the Privacy and Civil Liberties Oversight Board released a report concluding that the National Security Agency’s massive surveillance program is “illegal and largely ineffective.” The report agrees with a prior federal court ruling that the program is facially unconstitutional. President Obama continues to defend the program and refuse to end it. What is most notable is, like the earlier federal court, the board found no evidence of the program being used to prevent a single terrorist attack despite statements from the Administration claiming the contrary. Civil libertarians are often opposed by people claiming such success of classified programs. However, now a federal judge and a board with access have debunked such claims. The conclusion also contradicts an earlier stacked “reform” board picked by the White House that assumed that program was lawful. Despite the lack of any effectiveness, one board member actually called for the program to be expanded further. Notably, the only two dissenting votes came from two former Department of Justice lawyers in the Bush administration, Rachel Brand and Elisebeth Collins Cook. They would have declared the program lawful and needed. That is certainly consistent with their training. The Justice Department has long been criticized for rubber-stamping intelligence programs and shielding officials from accountability for the destruction of evidence, torture, and other misconduct. The White House in response merely repeated the President’s position that the program is lawful and referred to his earlier proposed reforms that offer largely cosmetic changes. Congressional Democrats appear to be rushing to pass such such marginal reforms to give the appearance of concern over civil liberties while preserving the program. In the meantime, the Republicans have called for an investigation into the massive program and the decline of privacy. 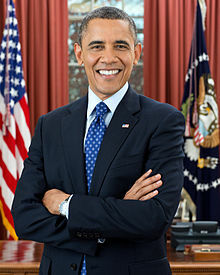 Many Democrats continue to support Obama despite his comprehensive attack on privacy and expansion of national security powers as well as executive powers. Nevertheless, the White House has been successful in getting supporters to return to the same theme: the Republicans are worse and Bush started most of these programs. The problem is that Obama has expanded not only some of these programs but he was radically expanded the claims of largely unchecked presidential powers. It is a legacy that will haunt this country for generations.